What’s with all the love for Pitt? First, Kirk Herbstreit predicted Pitt would play in this year’s ACC championship game before the college football season started. Then, Pete Thamel followed up by predicting those who follow college football would be scratching their heads and checking their eyesight when Pitt climbs to a 9-0 record and the No. 4 position in the AP Top 25. For those not in the know, Herbstreit is one of THE voices in college football, and one of the sport’s finest – if not the best – color analyst for ESPN. Thamel works for Sports Illustrated. Not a shabby publication. Herbstreit later backed up his prediction on Twitter in the weeks that followed, and, soon, the pair were joined by the likes of Ivan Maisel and Mark Schlabach – both ESPN writers – in praising Pitt. Hell, even Jimmy Kimmel joined the ranks in a way when he made fun of Panthers’ kicker Chris Blewitt on air because of his rather unfortunate last name. Pitt? Praiseworthy? National people noticing? What in the name of Curvin Richards is going on? 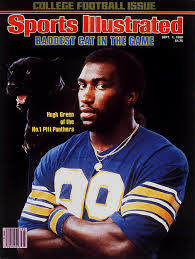 Sure, there’s Tony Dorsett, Curtis Martin, Shady McCoy and Craig Heyward, but Curvin Richards ranks among Pitt’s all-time top runners. After all, all Pitt has done is beat Division I-AA Delaware and a not-as-good-as-usual Boston College. All this national attention for a 2-0 team that really hasn’t beaten anyone? Granted, the level of competition is suspect, but the Panthers have been nothing short of dominant. Pitt ranks fourth nationally in rushing offense (356.0 yards per game), is tied for fourth nationally in total defense (170.0 ypg), third in team passing efficiency defense and, most impressively, are 12-for-12 in the red zone. That means in 12 red-zone trips, the Panthers have scored 12 touchdowns. James Conner, talked about as a two-way player before the season, ranks second nationally with 367 rushing yards and, hopefully, put to rest talk of needing him on the defensive side. Conner is bouncing off tackles with ease and making defenders wary of challenging him. The way Pitt is running the football, it’s no wonder some national media heads are hopping on the bandwagon. The schedule isn’t the toughest. No Florida State. No Clemson. No Louisville. Iowa at home. Virginia Tech at home. For Pitt fans, there’s hope this season could turn into something to savor. But Pitt fans know hope is a scary thing to have. This entry was posted in College football, Pitt, Sports, Uncategorized and tagged ESPN, James Conner, Pitt, Pitt football, Sports Illustrated on September 12, 2014 by mikekovak. Pitt, is that really you? Forgive Pitt fans if they approached Saturday’s season opener against Delaware with a near complete cloak of apathy. Recent history warrants skepticism, despair and even a lack of interest. Ready to relive some painful memories? Come on, you’re probably a Pitt fan if you’re reading this. Chances are you’re a masochist and are looking forward to the following. Pitt opened the 2012 season, and the Paul Chryst era, with a loss to Division I-AA (Yes, I recognize it’s not longer called this) Youngstown State – at Heinz Field. It marked the Panthers first loss to a program in a lower division. Pitt stormed into Toledo ranked No. 9 in the country in 2003 and left with a humbling 35-31 loss. Sure, Toledo’s Bruce Gradkowski and Lance Moore are current Steelers, but this loss ranks more maddening than most. Bill Hillgrove’s constant calls of, “Gradkowski complete for nine yards” can still be heard somewhere over Lake Erie. Urban Meyer once coached at Bowling Green, but his Falcons lost at old Pitt Stadium back in the days of Latef Grim and then-freshman Antonio Brown. But, fast forward to the 2008 season, and Bowling Green left Heinz Field with a 27-17 win. There’s been the Swinging Gate vs. Texas A&M, the Palko Slide against UConn, the terrible loss at Ohio and the “Whatever You Do, Don’t Kick the Ball to Marty Gilyard” game where Pitt blew a double-digit lead to Cincinnati with a berth in the Sugar Bowl on the line. 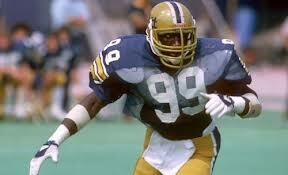 Pitt once lost to Notre Dame in a game where the Irish returned three kicks for touchdowns – in the second quarter. And, who wants to remember the 1996 fiasco at Ohio State where the Buckeyes defeated Pitt, 72-0. The Panthers crossed midfield once in that game and David Boston returned a punt for a touchdown with only eight players on the field. That’s a lot of low points in a span of less than two decades. So, again, forgive Pitt fans if they entered Saturday’s game with incredible trepidation. After all, the most Pitt thing to do would be fall behind or lose to Delaware then go win at Miami in the regular-season finale. 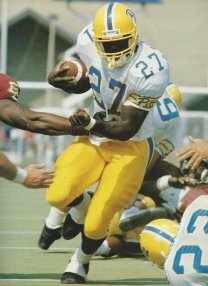 Instead, it was Pitt 62, Delaware 0. The Blue Hens were held under 70 total yards of offense. Pitt rushed for 409 yards, with James Conner rushing for four first-half touchdowns. It’s as unPitt as Pitt can get. Too early to tell, but it’s certainly a good sign. Granted Delaware is Division I-AA (yes, yes, I know) program, but Pitt has had problems putting those teams away in the past. Villanova, Furman or The Citadel ring any bells? Pitt simply doesn’t put teams away, let alone dominate them. 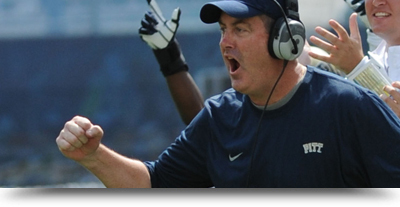 Friday’s game at Boston College should offer some indication if Pitt is improving in Chryst’s third year or if this opening game was nothing more than an unusual occurrence, like Warren G producing the jam of the summer in back-to-back years. That actually happened in 1993 (Indo Smoke) and 1994 (Regulate). 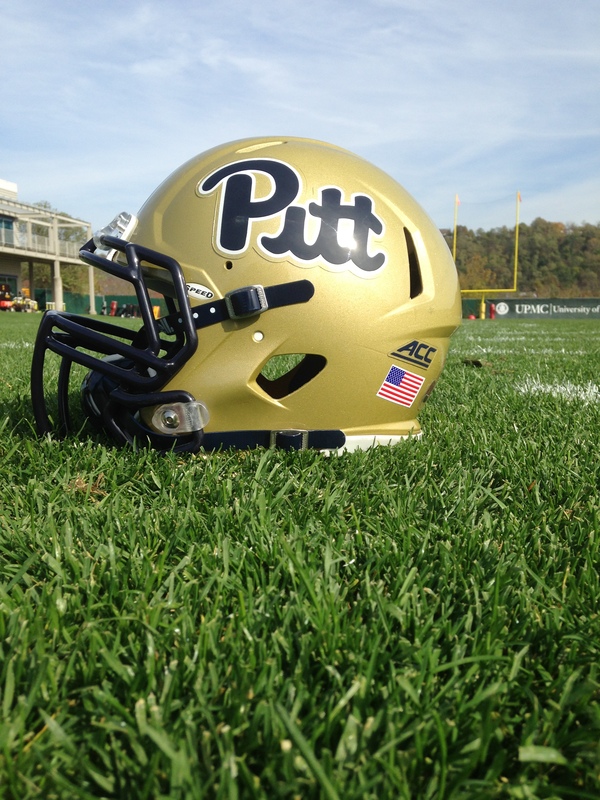 This entry was posted in College football, Pitt, Sports and tagged Boston College, College football, Delaware, NCAA, Panthers, Paul Chryst, Pitt, Pitt football on September 1, 2014 by mikekovak.